In a 1998 New Yorker article entitled Last Words, American author and essayist Joan Didion broke down the famous opening paragraph of Ernest Hemingway's "Farewell to Arms." The paragraph consists of four sentences, 126 total words, one word with three syllables, 22 words with two syllables, 103 words with one syllable, 24 words as "the," 15 words as "and," and four commas. In Last Words, Didion was arguing against the decision of Hemingway's widow, Mary Welsh Hemingway, to publish Hemingway's unfinished manuscripts. Describing her guidelines, Mary Welsh Hemingway said, "Except for punctuation and the obviously overlooked 'ands' and 'buts' we would present his prose and poetry to readers as he wrote it, letting the gaps lie where they were." As Didion points out so beautifully, there is much more to Hemingway's use of words -- nay, his love of words -- than any algorithm dropping in overlooked "ands" and "buts" could hope to accomplish. But this is exactly what the makers of HemingwayApp are peddling. HemingwayApp is a site where people can write or paste text, and an algorithm analyzes it using Hemingway's rules on writing. Those rules include writing short sentences and simple words, and avoiding adverbs and the passive voice. Hemingway also disliked adjectives. HemingwayApp spits out the original text with colorful edits and suggestions, such as identifying run-on and passive sentences and complex words. To be fair, HemingwayApp can help writers turn a passive sentence into an active one and improve their writing in spots. The service is also meant to be somewhat tongue in cheek. If a writer took all the edits to heart, for instance, the resulting text would be laughable. But the idea of using Hemingway's name to pitch a writing algorithm just sounds wrong. 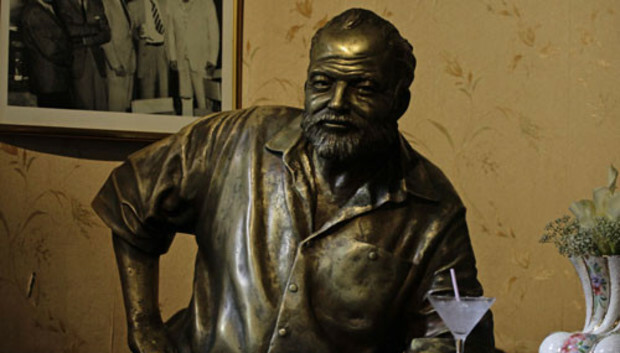 Hemingway himself didn't abide by his writing rules in some of his best works; an SFGate reporter keyed in a passage from Hemingway's "For Whom the Bell Tolls" to the HemingwayApp, and the edit was bloody. As Didion's essay shows, the craft of writing is complex, nuanced, intensely detailed -- and Hemingway was one of the best at it. The HemingwayApp exploits his name to market a service that dumbs down writing and, at least in a small sense, devalues his work. Seems a little ironic and sad. Read more about applications in CIO's Applications Drilldown.